Learn how to quickly set up a hosted WordPress website with our step-by-step guide for beginners. WordPress is an extremely powerful and flexible content management system that powers millions of blogs and websites around the world. If you are new to WordPress development, this tutorial will guide you through the process of installing WordPress on your website. Ask yourself this question… do you really need to do a manual installation? Many hosting companies offer a simple one-click WordPress installation feature. Before you read any further, log in to your hosting control panel and see if your host offers this service, as this will save you the time and hassle of doing it yourself. 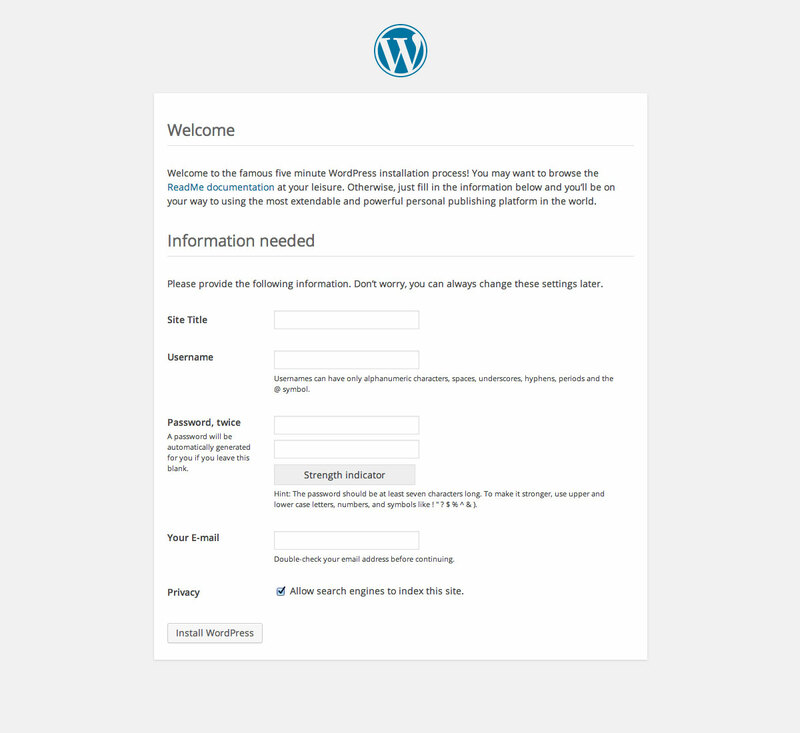 Also, this guide is for hosted WordPress sites. If you are only interested in setting up a blog and you don’t care about having a custom domain name, it may be easier to just create a blog on wordpress.com. If you decide to go down this route, you won’t need to purchase a hosting package and no technical know-how is required. All you need is an email address. Simply go to wordpress.org/download and hit the download button. This will download a zip folder containing the core collection of files needed to make WordPress work. It’s recommended that you always do a ‘fresh’ download for every new site you create, as WordPress is frequently updated. The next thing you will need to do is create a new MySQL database. Log in to your hosting control panel (this will look different depending on the hosting provider) and look for an option that either says “MySQL”, “Databases” or something similar. Create a new database and make a note of the database name, username, password and hostname, as you will need these later. Enter the details you noted down earlier. Save the file in the same location and rename it “wp-config” (not “wp-config-sample“). You can do this two ways – via your hosting company’s file manager, or through an FTP application such as Filezilla. If you want your blog to live in a separate area of your site (e.g. www.mysite.com/news), create a folder with the appropriate name (in this example “news”) and upload the files into that folder. Otherwise, upload the files directly into the main public_html folder. Upload everything that was in the “wordpress” folder, including your newly created wp-config file. If something has gone wrong, you may see an error message with instructions on how to fix it. 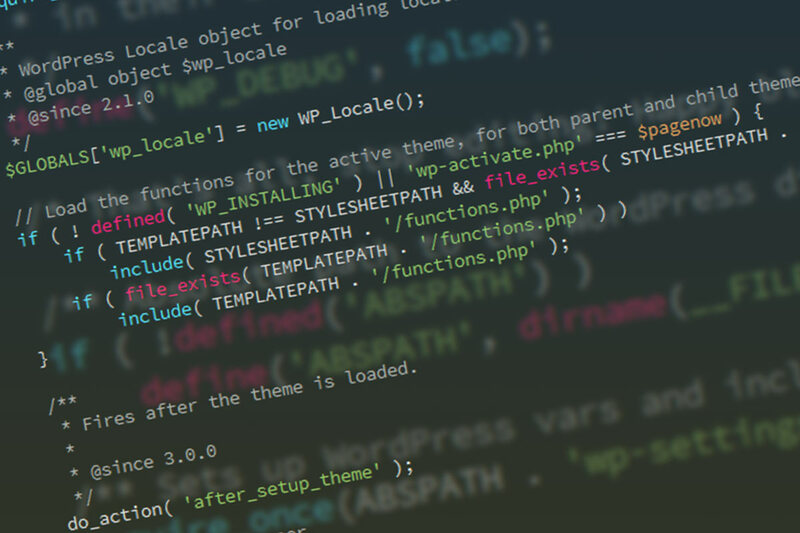 Nine times out of ten there is a mistake in the wp-config file that is preventing WordPress from connecting to your database. Double-check your wp-config file and try re-uploading it. If you are still running into trouble, WordPress has an extensive support forum that probably has the answer. If everything has gone smoothly, just enter your details and away you go! One final note – when you need to go back in and edit your WordPress site, simply go to mysite.com/wp-admin/, where you will be prompted to enter your username and password. This will take you to your dashboard, where you can write new posts, customise your theme and alter other settings. If you are an experienced developer, why not share your tips and advice in the comments!